A site for popularization of Astrometry and Celestial Mechanics. © 2004-2005 Scientia Astrophysical Organization. Most stars are identified only by catalog numbers. There are several catalogs that are recognized and used by professional astronomers. Only a few stars have names as such. The names are either traditional names (mostly from Arabic, some from Greek and Latin), Bayer designations (Greek letter + constellation), or Flamsteed designations (number + constellation). Famous stars are Sirius (the brightest star as seen from Earth), the Polar Star, Rigel and Betelgeuse in Orion, Castor and Pollux in Gemini, Aldebaran, Capella, Regulus, Spica, Arcturus, Vega, Deneb, Altair. The IAU does not name stars: this international organization uses to name comets, asteroids and other objects in the Solar System only. No actual laws exist about star naming: this field is based on "scientific" authority rather than legal authority. Several planetariums and astrononomical organization offer "adopt-a-star" programs: these fundraising campaigns allow them to get money and to make people happy to have a star named in a planetarium. Some private companies (such as the "International Star Registry") arose with the purpose to sell star names. These names are not recognized by the scientific community, nor used by them. That’s why most astronomers strongly oppose such companies. However, no legal action is possible against them. The "adopt-a-star" programs offered by several planetariums and astrononomical organizations are serious fundraising campaigns. The website Astrometry.org, that is maintained online by an organization of astronomers, astrophysicists and physicists, offers the largest program of this kind on a global scale, and is also going to create a large "online planetarium". It is already possible to adopt a star on Astrometry.org for a few dollars. The name of the sponsor and his/her dedication can be browsed online at any time on this respected website. Click to browse an example of an adopted star including a dedication (bottom part of the webpage). 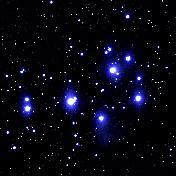 Who wants to adopt a star, is supposed to read this page, to be fully aware about star naming. If you appreciate this site, please bookmark it. If you own a website, please include a link to www.astrometry.org.